Me & Daddy at his 70th birthday party! Those last few months of your life, I couldn’t send you books fast enough! You kept flying through them. You were always ready for more stories, more information, more experiences, more adventures. You and mom stopped traveling by the time I came around but you kept going around the world and lived in practically every time period through those books. You spent time with swashbucklers, cowboys, knights, kings, presidents, paupers. Lori told me two days before I arrived that you had said it was getting harder to stay focused on the words. Getting harder to read your beloved books. That was 48 hours before you were about to die. Shortly after you passed away, I was sitting next to you at your bedside. No one was in the room, it was just us. You were gone but you were still there. Your energy all around me, on my skin, in my lungs, pumping through my veins. That’s when I saw them. Your weathered reading glasses sitting on the nightstand. I never told anyone in my family this but I slipped them in my pocket. They sit on my nightstand now. 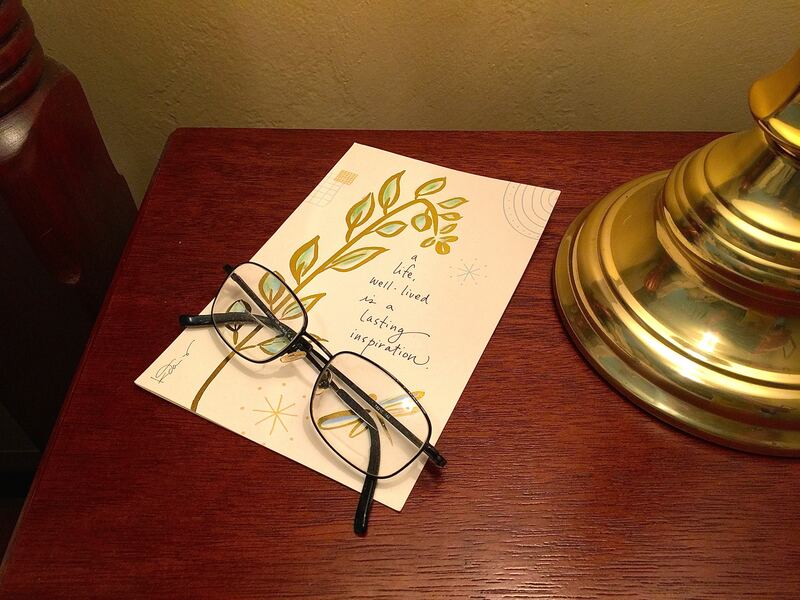 Daddy’s reading glasses on my nightstand. Tim gave me the card they sit on top of. Beautiful Kel. Thinking of you and your Dad today. Thank you for sharing this story. 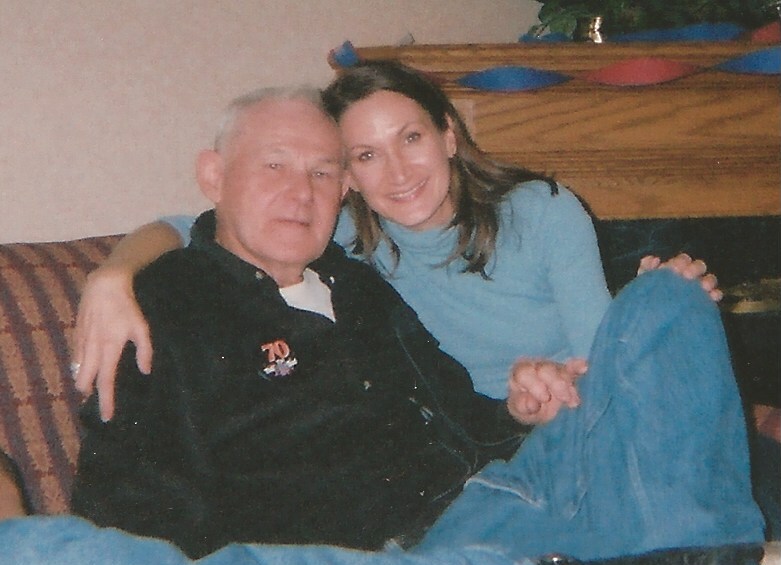 What a beautiful tribute to your Dad, Kelli. He would be so proud of you and your life well lived.